Posted By:Unknown | At:8:44 AM Be the first to comment! (WSJ) A white powdery substance believed to be narcotics was discovered on the body of a 42-year old megachurch Florida pastor who was discovered dead in a Times Square hotel room, a law enforcement official said Monday. The cause of death for the Rev. 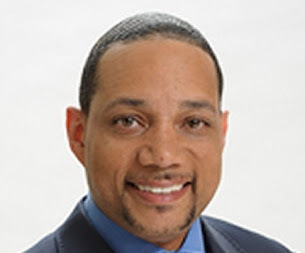 Zachery Tims, Jr., who led an 8,000-member ministry in Orlando, is still pending. Tims’s body was discovered Friday afternoon when a worker trying to check the minibar in his room at the W Hotel found it latched from the inside. A maintenance worker opened the door and found Tims lying on his back between the bedroom and living room area. According to a law enforcement official, police found a glassine envelope with a white powerdery substance inside the right pocket of his shorts. The substance was being tested, according to a law enforcement official. Police found no signs of trauma to his body. At this point criminality is not suspected, officials said. Detectives spoke with his family members and it appears Tims died in possession of his jewelry and other belongings. Tims was in town for a meeting and was supposed to leave for Texas last Thursday, according to a law enforcement official with knowledge of the matter. Tims grew up as a drug addict in Maryland when he was “miraculously saved” according to his website and a memoir published in 2006. After discovering Christianity, he earned degrees in accounting and theology and worked at a ministry in Baltimore. In 1996, he and his wife Riva moved to Orlando, where they founded the New Destiny Christian Center. As the church grew, it was able to bestow lavish benefits, even giving away cars to members, according to its website. Tims’s memoir and self-help book, “It’s Never Too Late: How a teenage criminal found his divine destiny and became a successful millionaire and pastor of a thriving church,” released through Charisma House Publications in 2006, sold “fairly well,” moving around 23,000 copies, said Woodley Auguste, the imprint’s director of marketing and publicity. In 2009, Tims and his wife Riva divorced after he admitted to a year-long affair with a stripper. The couple had been married for 15 years. After the divorce, Riva Tims founded Majestic Life Ministries in Orlando; they shared custody of their four children, including a son with Cerebral Palsy, according to the Majestic Life Ministries website.